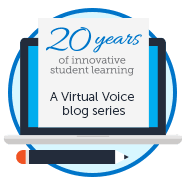 We know students learn best through experience, but how can they get hands-on in a virtual learning environment? Say hello to Career and Technical Student Organizations (CTSOs). These professional student organizations are integrated into the FLVS Career and Technical Education (CTE) curriculum. Why? Because they give students tons of personal growth swag. Kids develop leadership skills, participate in community service, gain opportunities to earn scholarships, and foster skills needed for the workforce. Wondering how popular these clubs are? There are more than 2 million student members across the country. FLVS is a proud sponsor of the Future Business Leaders of America (FBLA) club. FBLA works to bring business and education together through innovative leadership and career development programs. That’s definitely something we can get behind—and we’re not the only ones. Of its 102 members, the FLVS club currently has 25-30 students interested in showing their stuff at the state leadership conference. Students will participate in events such as: economics; personal finance; business planning; computer coding and problem solving; marketing; and social networking. These events test students’ skills through written exams and real-world scenarios where students demonstrate their knowledge to a panel of judges. At FLVS, FBLA is committed to helping others. It’s adopted the March of Dimes as its charity of choice and members plan to raise money throughout the year to support this cause. 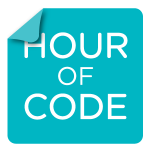 This week is also Computer Science Education Week and FBLA is helping to raise awareness of the importance of computer programming by partnering with the FLVS Tech Club and our STEM/Science clubs to host Hour of Code events for FLVS students. In addition to these events, students will be visited by guest speakers who discuss real-world topics like: resume building, marketing and branding, social networking, and technology skills. Employers understand that FBLA members often bring important skills and abilities to the table. That’s why they hire them. 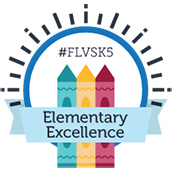 FLVS understands that students need hands-on life experience to cultivate these skills and abilities. Learn more about FBLA and other FLVS clubs at www.flvs.net/clubs. Aside from student organizations like these, what are some other ways we can encourage real-world learning in our students? Let us know in the comments! This entry was posted in Educator Edition, Full Time Edition, Homeschool Edition, Parent Edition, Student Edition and tagged Career & Technical Education, Coding, Computer Programming, Computer Science, Computer Science Education Week, CSED Week, FBLA, FLVS Clubs, Future Business Leaders of America, Hour of Code, Life Skills, Programming, Science Club, STEM, Student Activities, Student Organizations, Tech Club on December 4, 2017 by Guest Blogger.